Bleurgh! | An alien voice under a duvet of dreams. Posted by phoenixaeon in A330, I hate it when my nose drips like a tap, Mythology, OU, reading, TMA03. You know that scene in Total Recall, where Arnie has the tracking beacon pulled out from a nostril? That’s exactly how I feel right now. I have a horrifically snotty case of sinusitis. My face feels like it’s being repeatedly hit with a wet kipper, and my nose feels as big as that picture just there. Not good. I’m glad I managed to write my essay up and submit it last week now. Talking of essays, I’m now into the preparatory reading for TMA03 – “‘The Romans had a primarily utilitarian approach to myth.’ Do you agree with this statement?” Well, I don’t know yet, but I’m sure my argument will reveal itself in the next couple of weeks. 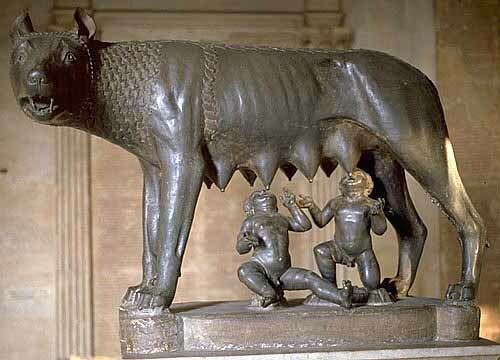 I’m currently reading an extract from Livy’s Histories, and it seems he’s not entirely convinced by the whole Romulus and Remus and the ‘She-wolf’ thing, but he’ll use it and other myths to add grandeur to Rome’s cultural history. So maybe that’s where I should begin my argument.